The shooting of Shankar's 2.0 is yet-to-be concluded, but the film is creating headlines with each passing day. Produced by Lyca Productions, the sequel to 2010 blockbuster Enthiran stars Rajinikanth and Akshay Kumar. Earlier, Catch had reported that Lyca Productions have spent Rs. 350 crore for making the film to be the costliest Indian film till date. "Considering that 2.0 has received a tremendous buzz, we have decided to make sure that our film really measures up to Hollywood standards. We are spending more money to enhance the visual effects of the film. We have received enquiries from Brazil and Argentina as well. So we are happy that the film is being talked about and has the potential to unlock newer markets". 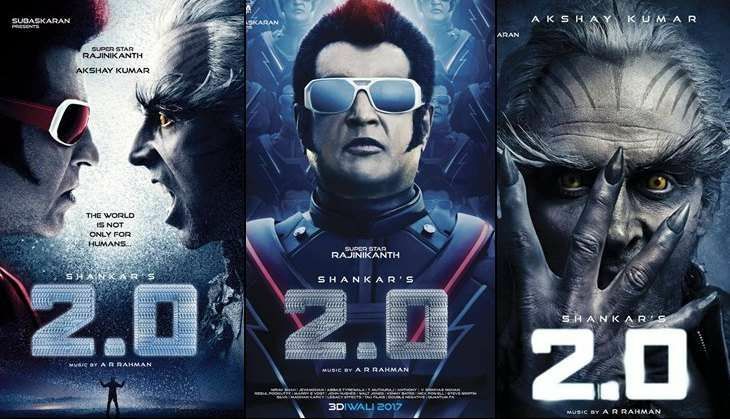 And with such a massive budget, 2.0 emerged as the second costliest Asian film after the Rs. 600 crore China fantasy adventure, Asura. 2.0 also stars Amy Jackson, Kalabhavan Shajon and Adil Hussain and is scheduled to hit the screens on Diwali 2017.